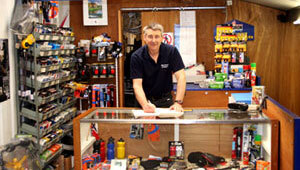 Mike Barnard Cycles has been trading in Great Dunmow since 1985. If you're looking for a new bike, we're a friendly bike shop in the local area, selling everything from mountain bikes to city bikes. We also stock a full range of spares and accessories and can carry out servicing and repairs on your bike in our fully-equipped workshop, even if you didn't buy it from us. We're a small family firm and you can be sure you'll receive personal attention to help you find whatever you're looking for. We take pride in all our work, from the smallest order to the largest, and attention to detail is very important to us. If you're looking for advice about buying a new one or need help with your current bike, why not give us a call today and find out how we can help?